Newcomer Family Obituaries - Lana Wyatt 1950 - 2019 - Newcomer Cremations, Funerals & Receptions. Lana Wyatt, 68, of Dayton, passed away on Jan. 19, 2019 peacefully at home. She was born on May 8, 1950 to the late George and Maja (Krupgewert) Griffith in Superior, WI. In 2000, she married James Wyatt where they made Dayton their home. 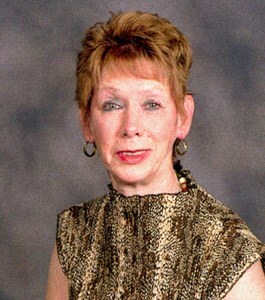 She was a long time member of Parkview United Methodist Church in Miamisburg. Lana is survived by her loving Husband of 18 years, James; siblings, George, Thomas, Robert, Marta Albitar Naji, and Sandy; and many other loving family and friends. Visitation is Sat., Jan. 26, 2019, 10:00 am at Parkview United Methodist Church in Miamisburg. A Memorial Service will follow at 11:00 am. To share a memory of Lana with her family, please click the Share Memories button above. Add your memories to the guest book of Lana Wyatt. Lana was a true blessing and friend to everyone. The earth lost a precious soul, but heaven gained an angel.